With all of the awareness about mold, and the health problems it can cause, it's no surprise that the discovery of mold in a home can cause a homeowner to panic. Mold is invasive, difficult to remove and can grow quickly with the aid of a moist environment. Mold and moisture go hand in hand. The majority of the mold remediation phone calls that our Torrington office receives are from homeowners who have discovered mold growth that was caused by an undetected leak - such as from a damaged roof, inadequate venting in the attic or a leaking pipe behind walls or cabinets. It is also not uncommon for mold to grow after a home has had water damage. 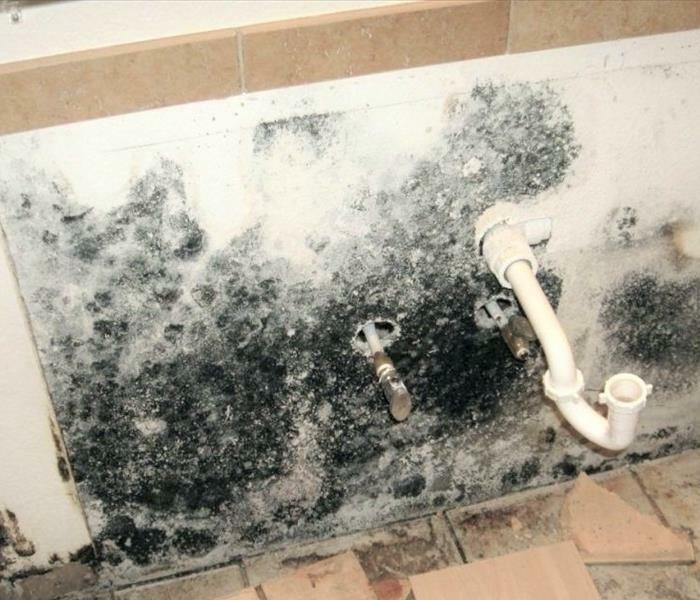 In fact, mold can begin to grow within 48 hours of elevated moisture levels. The mold technicians at SERVPRO of Southbury/Torrington utilize their extensive training and years of expertise in treating mold to determine whether professional remediation is necessary and will give you an honest recommendation for your home or business. We live and work in this community too; we might even be neighbors. As a locally owned and operated business, SERVPRO of Southbury / Torrington is close by and ready to help with your mold-damaged property. We are proud to be an active member of the Southbury community and want to pitch in and help make our community the best it can be.